The custom lots in Bent Green feature golf frontage and mountain views, or full views of the entire Las Vegas valley. Lots available now range from .47 acres to .92 acres. The Bent Green neighborhood offered the builders larger lots and extreme views to expand their creativity. MacDonald Highlands has several custom home neighborhoods under development with custom lots that provide a variety of choices for buyers. Each neighborhood features its own distinct topography and views. 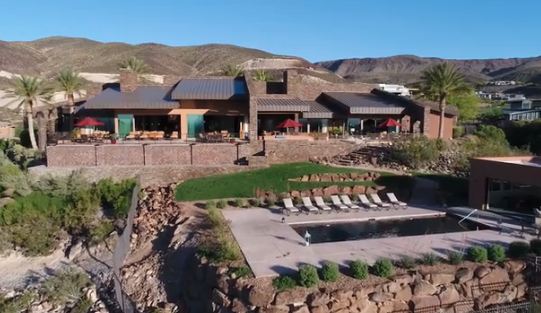 Buyers can choose from a variety of terrains including flat golf frontage, multi-leveling pads or hillside elevations with views of the golf course, mountain range or panoramic views of the Las Vegas skyline. These custom lots range in size from 1/4 acre to 2 1/2 acres. Prices start at $220,000 to more than 3.5 million. DragonRidge Country Club, the crown jewel of MacDonald Highlands, is a private golf course designed by Jay Moorish and David Druzisky. Private golf membership is limited, giving members and their guests a choice of tee times for frequent and leisurely play. Located just minutes from the Las Vegas Strip, the lushly landscaped entry at the intersection of Valle Verde and Horizon Ridge welcomes guests to MacDonald Highlands. Contact MacDonald Highlands real estate today to start “Life at the Top” and tour these beautiful custom homes in Las Vegas. Call 702-614-9100 today.